Australian Fruit Juice (S) Pte Ltd was incorporated in the year 1973 as a fruit juice manufacturer with the aim of providing quality fruit juices to the institutions and hotel establishments in Singapore. 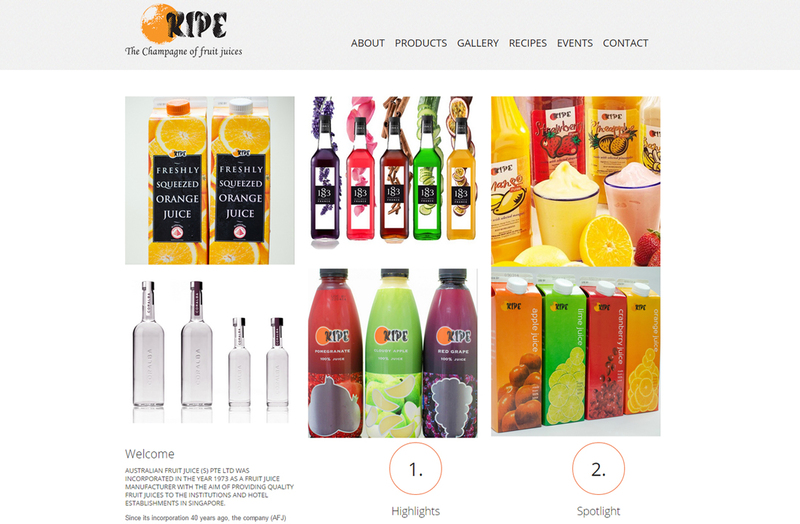 Our brief was to develop a colourful and vibrant website in line with Ripe's corporate image that included the comprehensive selection of quality products available. To provide in-house updates and allow for maximum readability, the website was built on a responsive WordPress framework.